Are you ready to explore the mysteries of Cuba? Want to do so with other entrepreneurs who are like-minded? Take this unforgettable trip as you plan and vision for 2020 - the surreal surroundings will spark creativity and new ideas to bring to life in the year ahead! This extraordinary 4 day/3 night adventure in Cuba will be a retreat of adventures, awareness and deep connection with other like-minded entrepreneurs. 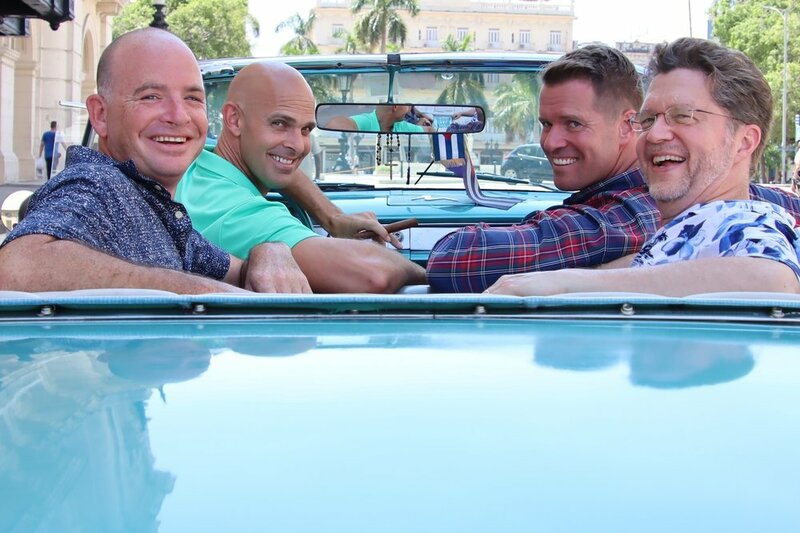 Led by Chris Niemeyer & Jamie Slingerland - serial entrepreneurs and leadership coaches - you will be fully immersed in the culture of Cuba on this exclusive trip. Fly to Cuba together with your host. Board a classic US car and cruise the streets of Cuba and through Old Havana to our lodging destination. Relax & get acquainted with other entrepreneurs & fellow travelers. Talk and walk the streets of the Plaza Vieja. Dinner & entertainment to kick off at Mojitos. Sunset classic car ride and tour through Old & New Havana. Enjoy the company of like-minded entrepreneurs for powerful conversations on the rooftop and/or nearby restaurant. Breakfast and Open time for networking, walking, exploring the plaza. Explore Old Havana including the Revolution Museum, National Hotel, Hemingway’s Floridita, rooftop balconies, top sites & more! Powerful coaching and visioning conversations at epic locations throughout Cuba to stir the senses and spark greater creativity as you plan for 2020! Optional trips to National Art Museum, Cigar Factory, Beach Day & more. Enjoy a memorable dinner at a Paladar - a once-prohibited “family restaurant” sure to be a treat. Breakfast and open time for connection, networking, walking & exploring the nearby plaza. Final shopping, connections and more. Optional lunch atop a fine restaurant overlooking Old Havana. A time to reflect on all you’ve taken in and conversations about what you’re going home with as you approach 2020. Depart for airport and fly back to USA by afternoon/evening. Hi, I'm Chris. I'm an entrepreneur, business coach, speaker and podcaster. If I'm not traveling the world with my wife and 4 young kids or running my businesses from my phone, I'm helping other entrepreneurs work ON their business instead of IN it. My original online company I founded in 2006 is MissionTravel.org. As CEO, I lead a team of awesome employees who help mission trip leaders and travelers save time, money and hassle by coordinating their international mission trips. We serve anyone involved in missions so they can save their resources to focus on the heart of the mission and the people they serve. I leverage my experience and efficiency in business, travel, technology and group leadership to impact global missions and foster meaningful, impactful travel experiences. 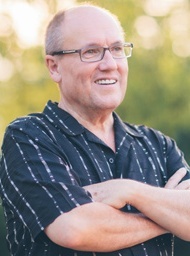 I'm co-founder, podcast host and business coach at Entrepreneurial Family Man. I coach men to develop a thriving family, rich marriage and business success. I love to travel, have visited over 40+ countries and have another 100 on my bucket list. For some strange reason, my interests start with the letter “f” – faith, family, friends, food, fitness, finance & far-off places. Outside of work, I'm likely at the beach in Florida being tackled by and playing with my 4 young kids, coaching their sports activities & enjoying family time with my wife, Alicia. ¡Hola! I’m Jamie Slingerland, Professional Coach, Business Consultant & Podcast Host at EFM. In 2008, I said adiós to my middle schoolers and plunged full-time into entrepreneurship. When I left the Spanish classroom I felt something inside me was lost. However, shorty after, I discovered my new students were my own children! When I'm not traveling with my wife and 4 kids somewhere in Latin America, you will find me in Franklin, TN running my Amazon business or coaching one of my awesome clients. We've traveled to Spain, France, Cuba, Puerto Rico, Italy, Brazil, Dominican Republic, Quebec, Israel, Portugal, Equator, Peru and have even lived in the mountains of Mexico for months at a time. I’m a 7 on the Enneagram (a personality assessment tool) and 'Travel' is my middle name. Faith, Family, Freedom, Fun and Fajitas is my motto! In the past few years I've traveled several times to Cuba where I practice my favorite language, Spanish, and lead other amazing groups of entrepreneurs. I love the Cuban culture, music and people. **Does NOT include airfare from your origin city to Cuba. Once you sign up, we will recommend certain schedule. Can Americans legally travel to Cuba? Yes: There are official categories that make it perfectly legal to travel to Cuba. Our tour will be “Support for the Cuban people” Many hotels in Cuba are government owned and Americans are not permitted to stay at certain hotels. We will be staying at entrepreneur-owned bed and breakfasts. (Casas Particulares, like an AirBnb) We will support and connect with locals and this makes our trip 100% legal to the US Government and Customs. Ensure that your passport has at least 6 months left till it expires, calculated from your departure date. Visa: The Cuban Government requires a Visa to enter the country. This Visa will be purchased at the airport kiosk with the help of the airline’s agent just before officially checking in for your flight. Money? Can I use my credit card? Americans have to carry cash. You cannot use American debit cards or credit cards. Unfortunately, it's part of the US embargo restrictions on Cuba. No US travelers cheques either. Hotels and banks will exchange money at the daily rate with the presence of a US passport. Government mandated travel health insurance is already included in your US airfare ticket. Internet and WiFi are severely limited in Cuba. In Havana, there are a few public hotspots which you may access with a WiFi card only. WhatsApp and Facebook Messenger is a good option to communicate back home. Password protected sites like online banking, financial accounts, etc. are normally blocked. What outlets do they use in Cuba? In our experience all the places we’ll stay at have standard North American 110V 2-3 prong plugs like those in the US. What can I bring back from Cuba as an American? Americans can bring back up to $800 worth of souvenirs duty-free. This includes up to 100 Cuban cigars without paying US import taxes as long as the total dollar amount of the items you are bringing back (cigars and other items) is less than $800. You can bring back from Cuba 1.75 liter of alcohol duty-free. Any other vacation preferences or questions? Please note any preferences or amenities you may desire, food allergies, etc. as we will take note and try to accommodate. Any questions, please post here too. Thank YOU! We will be in touch soon and you can expect an invoice to secure your ASAP. It's going to be an incredible experience - glad you'll be joining us!